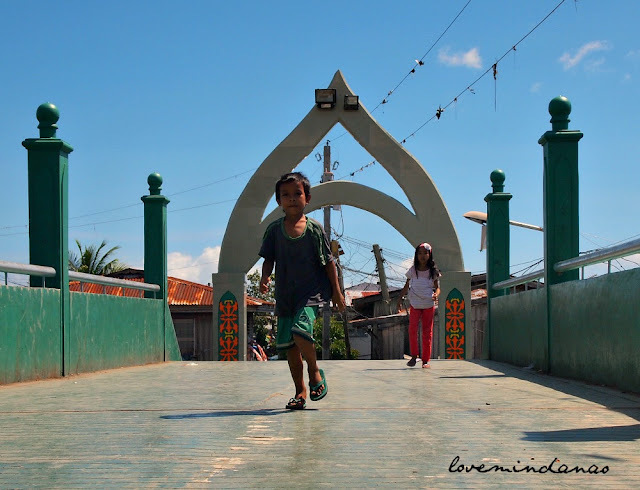 The general Muslim populations of Rio Hondo is the combination of Tausug, Yakan, Samal and Badjao that migrated from Jolo Sulu, Basilan and Tawi Tawi. The place has been in existence even before the coming of the Spaniards . The population boomed with the migration of people from Sulu in early '80 to this small yet strategic site established at the mouth of the river. I was a bit curious why so many people discourage visitors to see the place. In one of my idle moment in the city I decided to drop by to confirm the speculations of most people about Rio Hondo. Rio Hondo is actually not far from Fort Pilar and not too hard to find as there are direct route of jeepneys in the city proper bound for Rio Hondo. Riding a friend's motorbike, we launched our visit in a supposedly stealth mode presence .It was noon time and passing thru the welcoming arch of the community, there was a sudden shift of nervousness that lingered to my veins. I can't explain the feeling but there was a soft voice telling me not to continue with my attempt. But I guess that little voice was already late as I saw myself already parked at the foot of the bridge, connecting the residence of the Rio Hondo and the city. Rio Hondo has two distinct faces separated by the river. The concrete type community where general establishments and schools are located and the "shanty" area connected by the bridge. In the former, you can find the Islamic Institute of the Philippines and the Zamboanga State Colleges of Marine Sciences and Technology and in the latter, more of the complete opposite of the former, stilt houses banked at the riparian shore. Stealth mode? But with that get up , impossible. It was an awkward moment walking along the bridge when people , young and old, were all staring back at me . Then I realized that my colorful get up was a bit eye catcher and everyone was wondering why I was taking pictures of their community. Reaching the center of the bridge, the true face of Rio Hondo revealed its neglected state, bursting a cry for help. 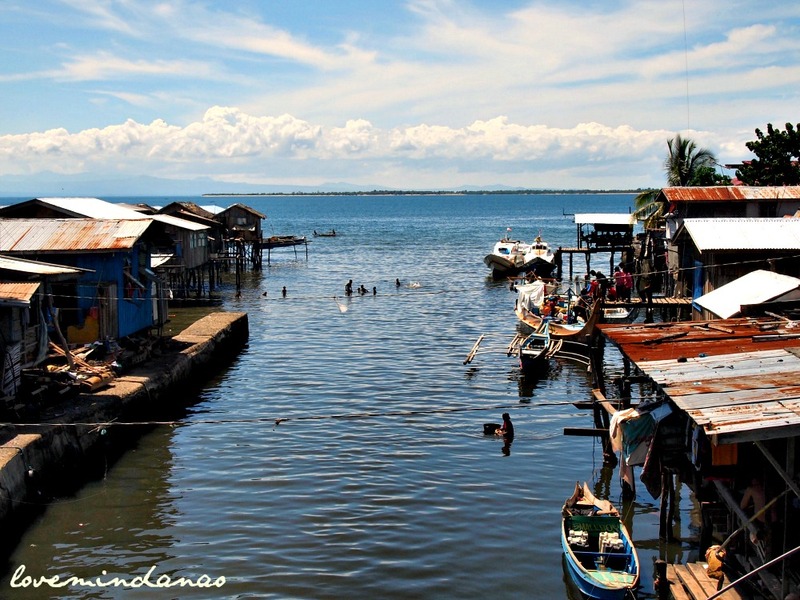 The "shanty" place is the epitome of total overlooked obligations from the government with members of the community living crowdedly on stilt houses over the sea water. 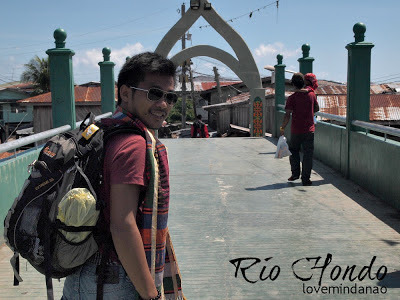 This only confirmed that all cities have two faces and Rio Hondo is far from the beautiful , preserved and restored historical sites in Zamboanga. 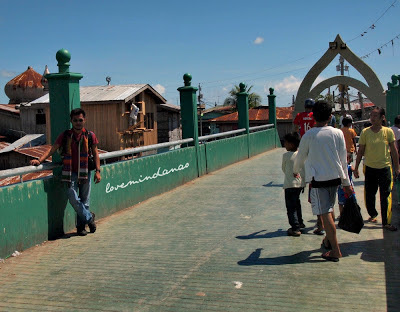 Looking over the bridge above Mariki River, the established community along the river delta seemed to be at ease with their living condition with people just hanging around and children not mindful swimming into the brackish water . Small fishing boats are parked along the river beside the estuary, signifying fishing as the main livelihood of the community. 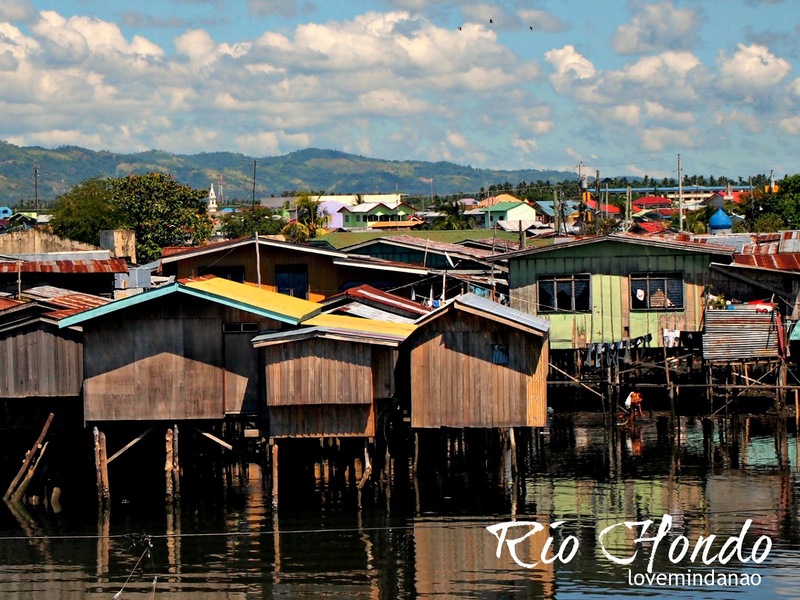 Rio Hondo is not a tourist spot if you are asking for recommendation but a suggested place for community outreach activities and further studies, penetrating on the roots of the community and learning the traditions that have been tainted and influenced by the westernized type of living. One thing I have proven about the place, it wasn't frightening at all ..at day time , I don't know at night time. But I am not daring you to do so for your safety just like in any other places in the Philippines. Travel safe people. Wow. What made you do that? Nice one love! Ang tapang mo talaga. Travel safe! Regards. I went there many times. What I find unique is their motorcycle. Your all post are very beautiful and interested, Like to see your posts and i found very information about that place also. and book Flights to Manila for more fun.